You are a good driver. You position yourself well, know how to communicate with other people on the road, and react to what goes on around you. Pity then that not everyone is that way. When you are behind the wheel you should not have to worry about reckless drivers putting you and passengers in jeopardy. Or worse, find the blame pointed at you when something does happen. That’s why you need someone out there that saw it all, someone that can vouch for you, and show the authorities what really happened. With 170 super wide range and a CMOS sensor, Elecwave shows the road as it is: from side view to side view. Minimal noise and no distortion. WDR technology means the camera also knows how to compensate for areas of the road with too much or too little sunlight. Meaning that wherever you look, Elecwave is looking too. Captured in separate continuous video files of 3 minutes each , Elecwave can support memory cards of up to 32GB, after which it will overwrite the oldest unlocked files on memory. 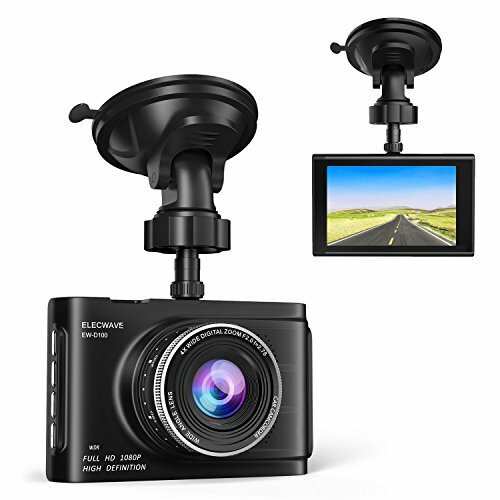 In the case of a collision, Elecwave’s built in G-Sensor will lock down the current 3 minute video. Protecting it from overwrites, and making sure that you have got your bases covered. Video resolution: 1080FHD, 1080p, 720p etc. Photo resolution: 12M, 10M, 8M, 5M, 3M etc.